There are many ways to become active and engaged member of the Streeterville community. Volunteer with us today! Spring is right around the corner! Stay tuned for more information about the 2019 SOAR Farmers Market – opening June 4, 2019! 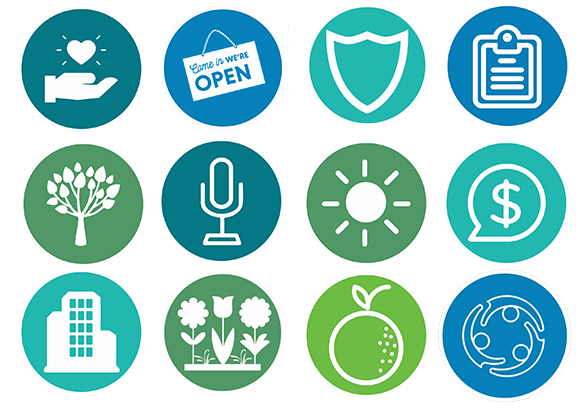 From SOAR Socials, to Town Halls, Board Meetings and Farmers Markets, there is always something going on with SOAR! This year, the SOAR Safety Task Force curated another excellent panel of local safety experts to inform Streeterville residents about current safety efforts in the neighborhood. SOAR membership includes the ability to join Task Forces, allowing you to work on issues you are passionate about in Streeterville. Get in touch with a Task Force Chair to get involved. 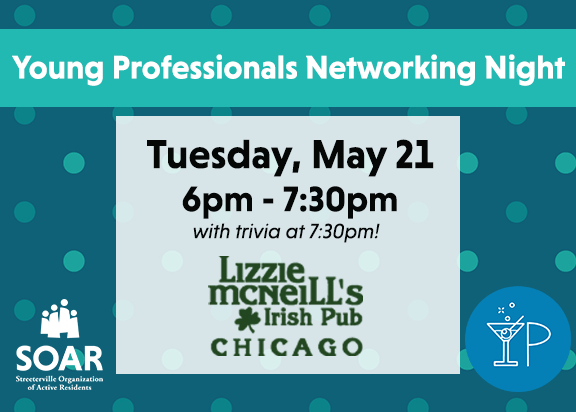 Tuesday, May 21 from 6pm to 7:30pm, join the Streeterville Young Professionals for an evening of drinks, community, and trivia! We’ll be at Lizzie McNeill’s Irish Pub networking until 7:3o, then form a team or bring a team for trivia after!